AN INCREDIBLE D.I.Y. ANIMATED SAMURAI EPIC SLICES ITS WAY ONTO BLU-RAY FROM SYNAPSE FILMS! 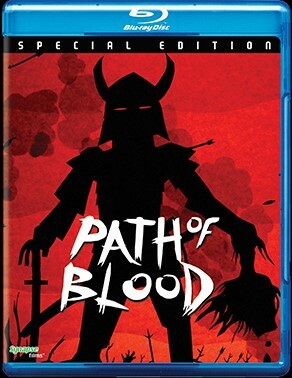 One of the most inspired (and inspiring) works of animation in recent memory, PATH OF BLOOD is a blood-spraying, sword-clanging, mind-blowing samurai epic made entirely inside the confines of one man’s kitchen. A testament to the power of personal artistic vision, every frame of PATH OF BLOOD resonates with the kind of singular artistry that only the rarest of DIY projects can offer. 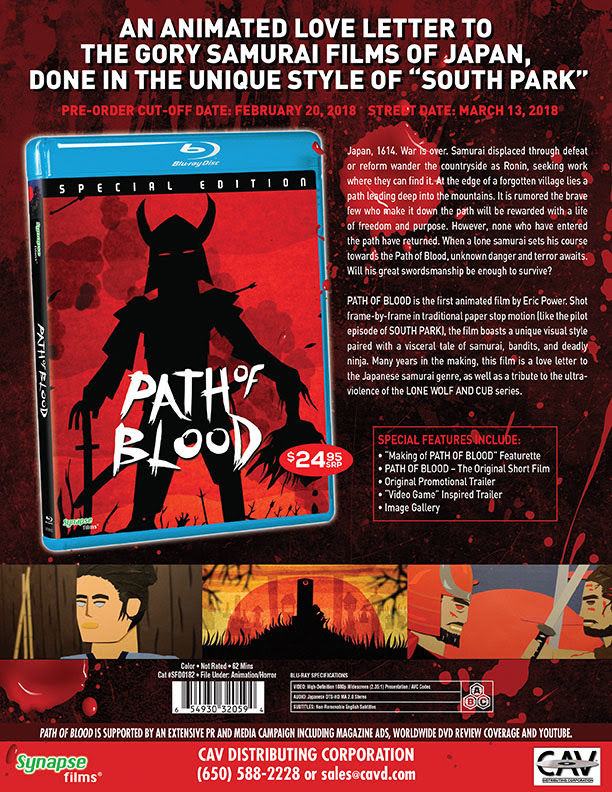 Synapse Films is proud to bring this one-of-a-kind slice of animated madness to blu-ray along with an array of bonus features that take you inside the mind of its visionary creator.